Only 99 cents December 5th-9th! In this standalone spin-off of the Paranormal Detectives Series, we discover the true horrors during Hitler's reign. In World War Two, not all monsters were human. Male siren Sean Wireman was ostracized from his small village in Israel in the sixteenth century, forced to wander the world until he settled in America in the 1920's. Since he doesn't age like a normal person, he was fit to fight in World War Two, to defend the heritage he spent his whole life running from. Seventy years later, after he has lived a whole other life since Hitler was defeated, from attending law school to becoming a bona fide rock star, the monsters the Nazis released upon the Jews in concentration camps have returned, and he is the only one who can destroy them. But can he save his people once again, or will this fight take a deadly toll? Join the event on Facebook to win gift cards, e-books, and more! I was freezing. As in limbs numb cold. I woke up in a bed, and dread filled me at the sight around me. I was back in Theresienstadt, and all around me were the frozen corpses of the other inmates. 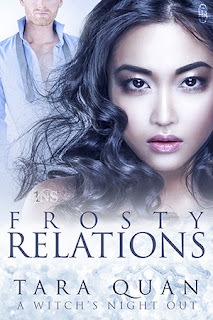 Ice and frost formed on their eyeballs and eyelashes. Their hair was frozen stiff, what they had of it, anyway. Lips blue, skin white as the snow the fell outside. I got up, and had nowhere to walk. Unless I tread in my bare feet over frozen cadavers, I was stuck, trapped there to freeze to death. Taking a breath that burned my lungs from the cold, I took a step, feeling unmoving, frozen stiff limbs beneath my skin. Brittle, frozen bones cracked under my weight and I felt sicker than ever when I reached the end of the room. The boy, the one I had given my coat to, was standing in the doorway, still wearing my coat. He was dead, but moving nonetheless. His sightless, frozen eyes stared at me and through me. 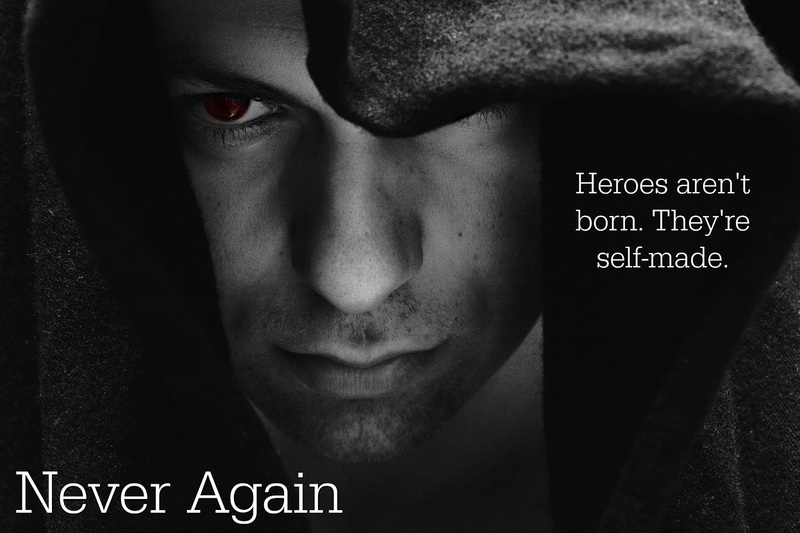 “You didn’t try hard enough to save me,” he said, his voice naught but a whisper. Fear made me move, and I shoved the ice-covered zombie aside, only to watch his body shatter like glass when it hit the floor. Blood exploded everywhere from the force of impact, so warm it began to melt the ice that was once a poor little Jewish boy, too young to even shave yet. I let out a cry and ran out the door, not wanting to see anymore. Outside the door was the old man who had had his skull cracked in by the Nazi that night of the inspection. He was also made of ice, but his head was steadily pumping blood, slowly melting his cold exterior. “You just watched me die,” he said, his voice sounding just like the boy’s. “There was nothing I could do!” I protested. The man lunged at me, but he was too slow and he slammed himself into the wall after I moved out of the way. I didn’t stick around to see if he was still moving or not. I needed to find a way out. Without any more interruptions, I reached the main hall and opened the door to escape. Standing in the way was my old friend Jakob Edelstein. He was emaciated, but not frozen. His bare arm showed the tattoo that was unique to Auschwitz. His eyes were sunken and blackened, his teeth had mostly fallen out. Oh yes, and one side of his head was blown in, just a large crater like a cracked three-minute egg. Instead of yolk and butter and salt leaking from the crater, though, there was splattered gray matter and blood. Off to one side were three people I didn’t know, but I still knew who they were: Jakob’s wife, mother, and son. All three had identical holes in their heads. “Not good enough!” Jakob lunged for me, and I grappled with him. He was stronger than our frozen brethren inside the camp walls. I pushed him down to the ground and watched in mute horror as his head shattered like porcelain, splattering his brains all over the pure white snow. Lily Luchesi's "Vampires Don't Drink Blue Blood" is the prequel for the Paranormal Detectives series, but I read it last. This is a short story where the two main characters are ships passing in the night. I was glad to see the type of relationship Angelica and Dave have. I liked getting to see more of Angelica's backstory and character. The banter is pretty good! Definitely wets your whistle for the series! Lily Luchesi's "Stake-Out" and "Miranda's Rights" are the first two tales in the Paranormal Detectives series. I loved them. I couldn't put them down. I loved the mythology of the vampires and other beings. The precognition and memory recall was an interesting feature as well. There is a "closed door" approach to the intimate scenes. In "Stake-Out," your heart cries out for Danny & Angelica. "Miranda's Rights" starts with a bombshell and the action never ceases! I will definitely be reading more from this author! Lily Luchesi's "Life Sentence" is the third tale in the Paranormal Detectives series. Once again there is an ensemble cast. The main characters Angelica & Danny are back. There are all new struggles for them to face. I like the past memories aspect and the twists that makes for. The writing flows well and keeps you reading. I can't wait to read #4. 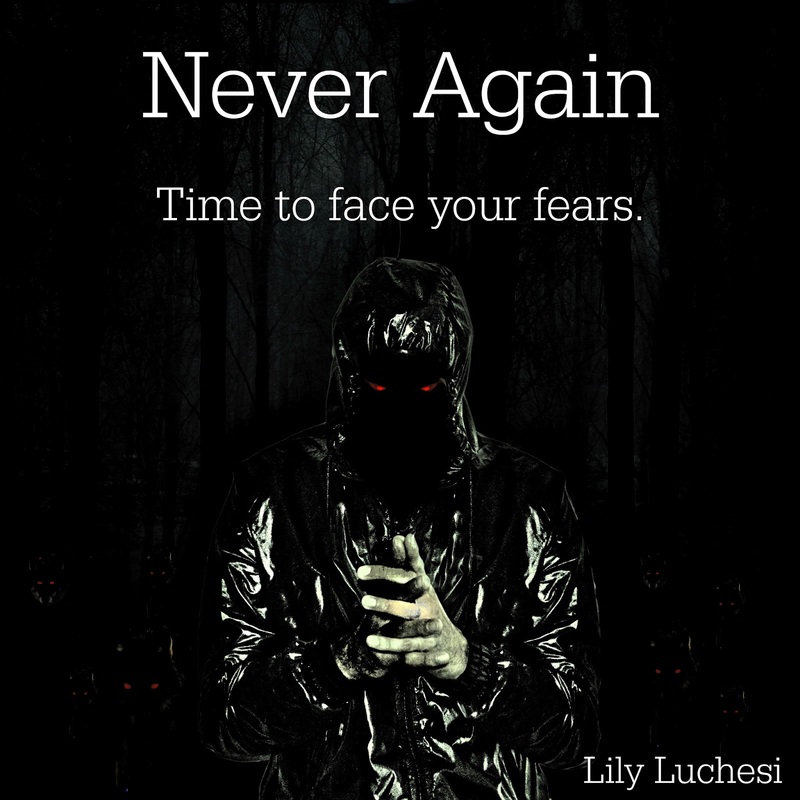 Lily Luchesi's "Right to Silence" is the fourth tale in the Paranormal Detectives series. I think this one is the best one so far! It was brave to chance a big chunk of the novel on a M/M relationship. The plot has more and more going on...there's Hell, Legion, etc...and the ensemble cast keeps growing larger! In each tale, they vanquish mighty foes, but how will Danny and Angelica ever get past what has happened? I can not wait for #5! Lily Luchesi's "Last Rites" is the fifth tale in the Paranormal Detectives series. What a great way to further the series! This tale takes a very non-traditional route. I don't want to give too much away, but Danny & Angelica's rocky road continues. The addition of the character August is an amazing twist. So many twists and turns in this wonderful masterpiece of a web. 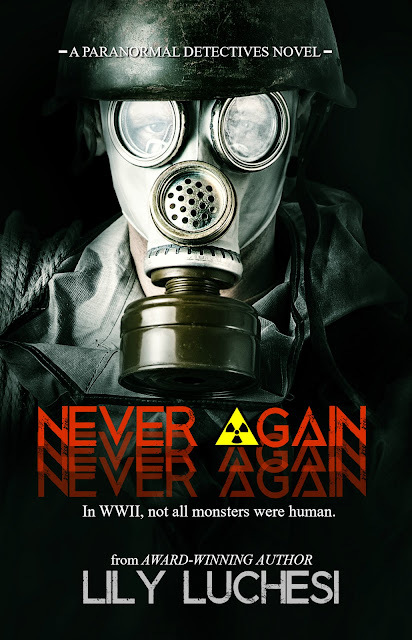 I hear there will be a spin-off called "Never Again" coming soon and I can't wait to read it. Lily Luchesi is the award-winning author of the bestselling Paranormal Detectives Series, published by Vamptasy Publishing. She also has short stories included in multiple bestselling anthologies, and a successful dark erotica retelling of Dracula. She is also the editor and curator of the bestselling Damsels of Distress anthology, which puts emphasis on strong female characters in horror and paranormal fiction. She was born in Chicago, Illinois, and now resides in Los Angeles, California. Ever since she was a toddler her mother noticed her tendency for being interested in all things "dark". At two she became infatuated with vampires and ghosts, and that infatuation turned into a lifestyle. She is also an out member of the LGBT+ community. 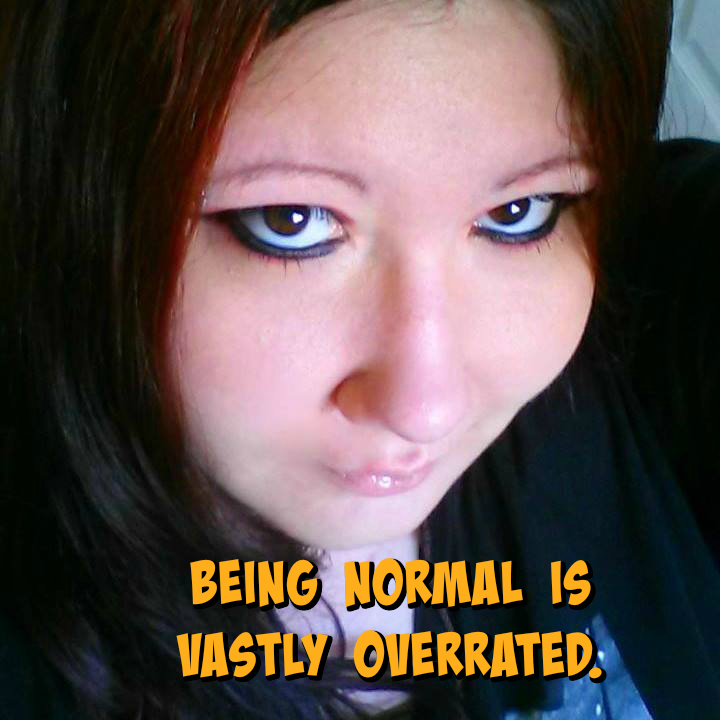 When she's not writing, she's going to rock concerts, getting tattooed, watching the CW, or reading manga. And drinking copious amounts of coffee.